Vasiliy Yanchilin’s paper The Efficiency of Tidal Friction and the Density of the Flow of Gravitational Energy Transmitted from Earth to the Moon was published in Canadian Journal of Pure and Applied Sciences, Vol. 12, No. 3, pp. 4601-4607, October 2018. The Canadian Journal of Pure and Applied Sciences (CJPAS) is a peer reviewed multidisciplinary international journal aimed at promoting research in all field of science and technology on the basis of its originality. The CJPAS is indexed in major indexing databases of different indexing services and universities. Every effort is made by the editors, board of editorial advisors and publishers to see that no inaccurate or misleading data, opinions, or statements appear in this journal, they wish to make clear that data and opinions appearing in the articles are the sole responsibility of the contributor concerned. The CJPAS accept no responsibility for the misleading data, opinion or statements. 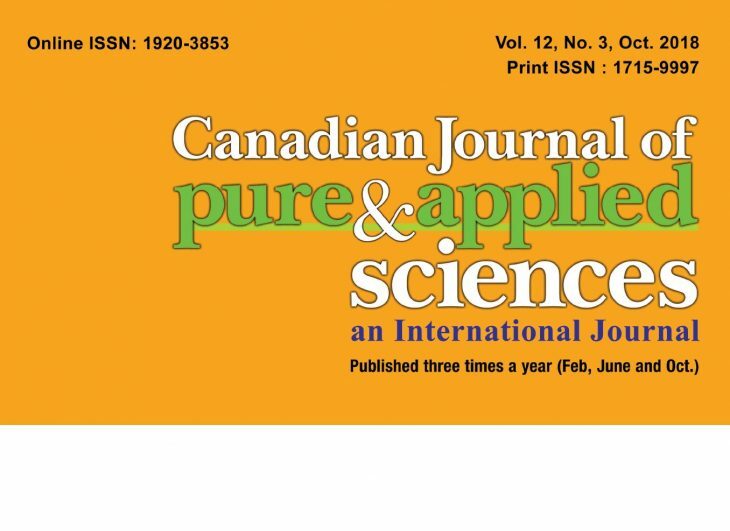 The full text of all published articles published in Canadian Journal of Pure and Applied Sciences is deposited to Library and Archives Canada which means all articles are preserved in the repository and accessible around the world.